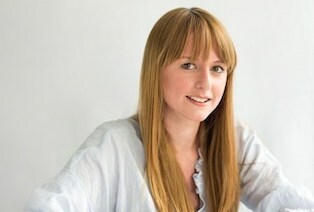 Senior Creative for Event Concept, Rebecca Lett, explores design trends influencing events this festive season. The nights are getting longer and there is a slight chill in the air; winter is coming and, with Christmas less than four weeks away, we have been busy designing an array of festive experiences. From grand winter wonderlands in prestigious venues to contemporary office transformations, an immersive festive setting will put a smile on the face of even the biggest office Grinch. Of course, an ever-increasing focus for us in event design is creating ‘Instagram moments’; extending the reach and lifespan of an event by creating a series of visual touch-points that guests feel compelled to share. This extends to Christmas parties where we seek to bring that wow factor to enhance the guest experience. Motivated by a desire to create something that is unique and highly shareable, brightly coloured installations will be abundant this Christmas. Retailer John Lewis predicts the biggest trend of the season to be the rainbow Christmas tree. 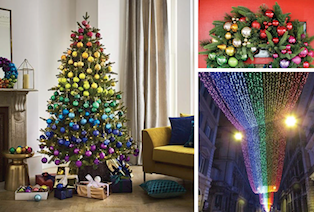 Scott Bartle, Christmas Buyer at John Lewis told House Beautiful, ‘The rainbow trend we’ve seen break through this summer is set to filter through to Christmas this year. The trend originates from social media platforms like Instagram and Pinterest, where a colourful post means more likes’. With jewel tones as a big design trend in interior design this season, we can expect to see this continue into Christmas. 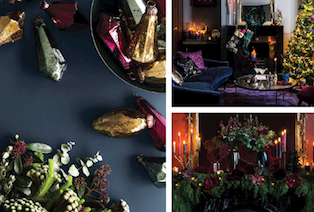 From Pantone’s colour of the year Ultra-Violet, to deep burgundies and rich blues, the colour palette is far from traditional Christmas reds and greens. This colour palette combined with precious metals such as copper and rose golds will have a big influence on event furniture. Expect to see plenty of gold framed tables and chairs paired with velvet and jewel coloured styling elements. From succulents to cacti and ferns to ficus lyrate, the trend towards greenery sees no sign of abating. Combined with a minimalist aesthetic, festive floral design and styling will continue to draw influence from Scandinavia. 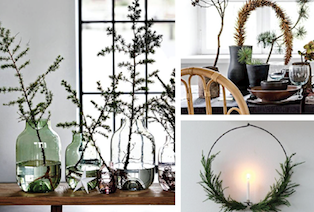 In particular, the traditional Finnish ornament, Himmeli, is an example of a minimalist Scandinavian influence that will adorn unconventional Christmas trees. The ornament is a mobile decoration that is traditionally made from straw - but will be more commonly seen in gold wire or clean white for a contemporary take on it this festive season.